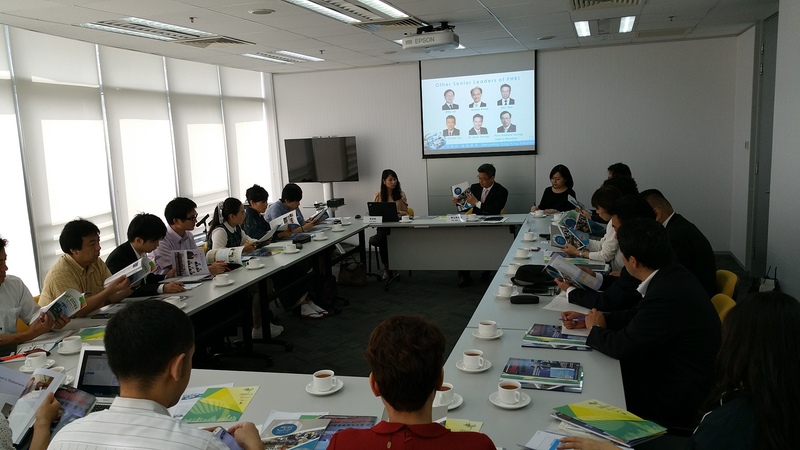 For study programs at University, Prof. Xufei MA of CUHK Business School, Chinese University of Hong Kong gave lectures to students, who also participated in a gathering with students of Prof. Makino’s seminar in doctoral course and MBA programs, and then took a campus tour. 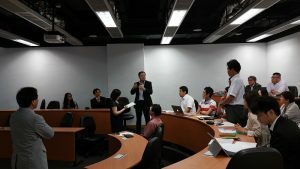 With a courtesy call on economic organizations, students met Prof. Daniel CHENG, Chairman of the Federation of Hong Kong Industries and Chairman of Dunwell Group, and also met Dr. Jonathan CHOI,Honorary Chairman of the Chinese General Chamber of Commerce of Hong Kong and Chairman of Sunwah Group, Both executives gave special lectures to students. 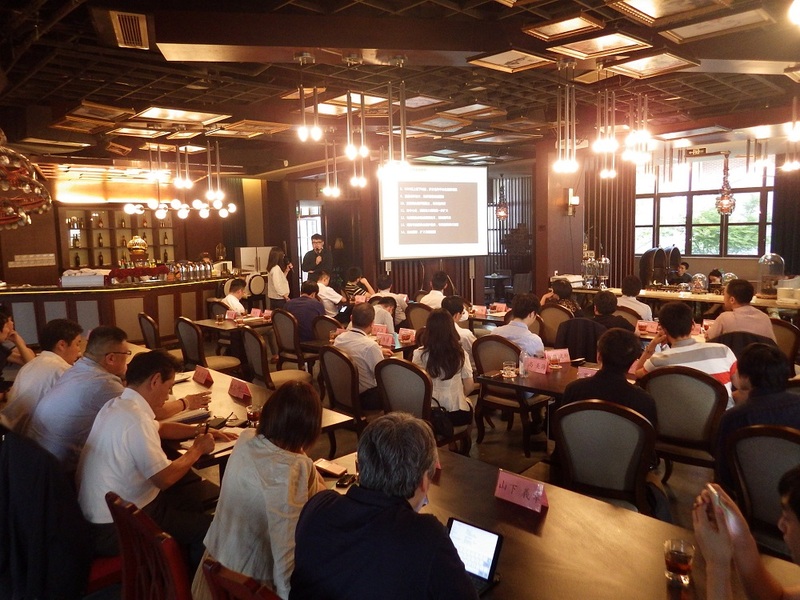 In the case study with executive managers, lecture was given by Mr. Frankie WU, Chairman of Aji-No-Chinmi Co. (HK) Ltd., followed by a gathering. 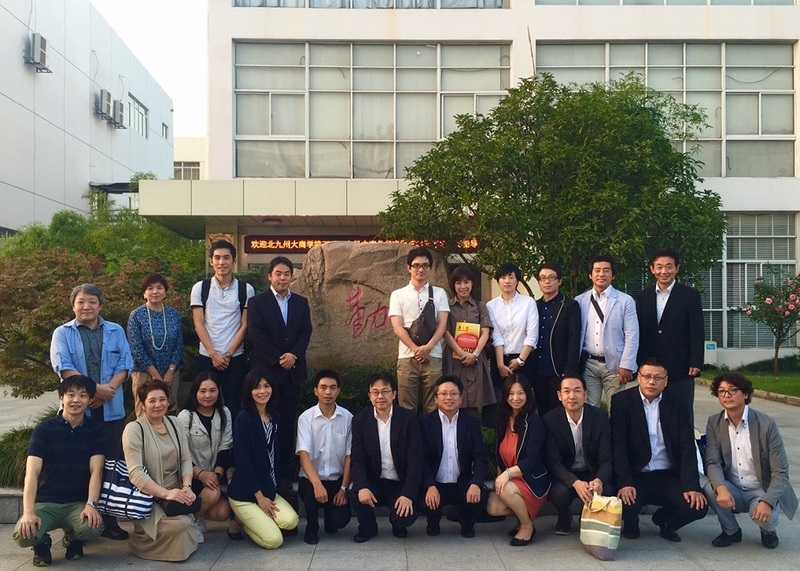 Students took a special lecture from Mr. Bufan WANG, CEO of Wuxi Huaxi Culture Industry Co., Ltd.,and had a panel discussion. They also experienced a special coaching program with Coach Shuqian Zhou and its members, corporate executive managers. 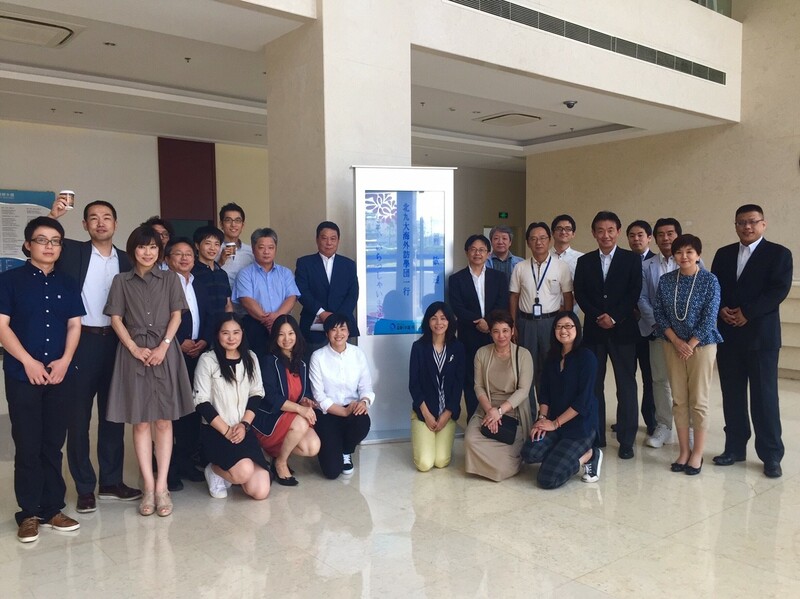 For corporate study programs in Suzhou, a joint meeting was held with a Japanese affiliated company EPS Group and Mr. Sean XIA, the General Manager of Enterprise Cloud Services Division of Founder Purvar Information Technology Co., Ltd. 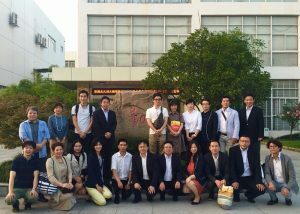 The members of EPS Group were Vice Chairman Xiangming XIA, Mr. Ju SU, Manager of General Affairs Department of EPS China Co. Ltd., and Mr. Ping YAN, Director of ET Medical Technology (Suzhou) Co., Ltd, and Vice President Yuanxu Chen of EPI (Suzhou) Co. Ltd. Students visited and took a factory tour of a major Chinese private manufacturing company of interior products, Scihome, and also conducted an interview to Vice President Xishan ZHOU. Prof. Xufei MA of CUHK Business School, Chinese University of Hong Kong gave lecture to students. 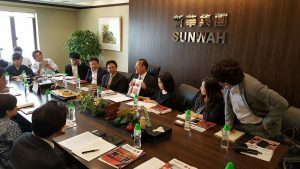 Dr. Jonathan CHOI, Honorary Chairman of the Chinese General Chamber of Commerce of Hong Kong and Chairman of Sunwah Group gave special lecture. Visited Prof. Daniel CHENG, Chairman of the Federation of Hong Kong Industries and Chairman of Dunwell Group. Visited Chairman Xiangming XIA, Mr. Ju SU, Manager of General Affairs Department of EPS China Co., Ltd. and Mr. Ping YAN, Director of ET Medical Technology (Suzhou) Co., Ltd.
A special lecture from Mr. Bufan WANG, CEO of Wuxi Huaxi Culture Industry Co., Ltd. 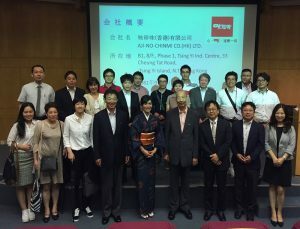 Visited and took a factory tour of a major Chinese private manufacturing company of interior products, Scihome. 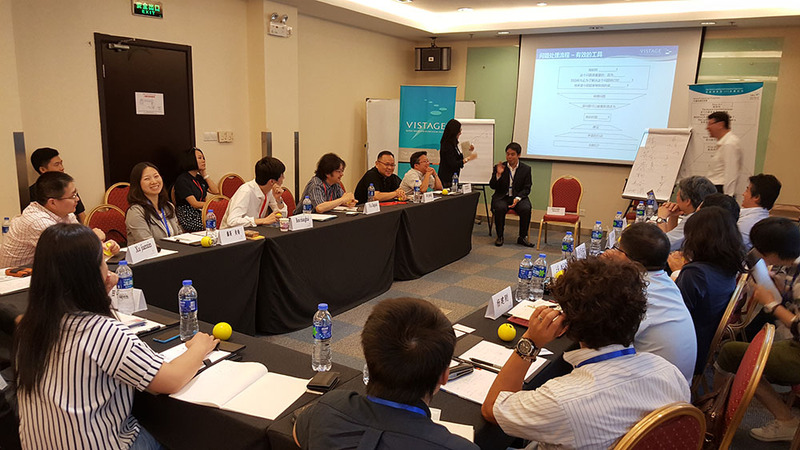 Students experienced a special coaching program with Coach Shuqian ZHOU and its members, corporate executive managers. 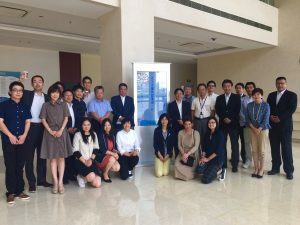 Copyright © 1998-2019 The University of Kitakyushu. All Rights Reserved.